WASHINGTON — After more than two decades of trying but failing to forge a global pact to halt climate change, United Nations negotiators gathering in South America this week are expressing a new optimism that they may finally achieve the elusive deal. For the next two weeks, thousands of diplomats from around the globe will gather in Lima, Peru, for a United Nations summit meeting to draft an agreement intended to stop the global rise of planet-warming greenhouse gases. The meeting comes just weeks after a landmark announcement by President Obama and President Xi Jinping of China committing the world’s two largest carbon polluters to cuts in their emissions. United Nations negotiators say they believe that advancement could end a longstanding impasse in the climate talks, spurring other countries to sign similar commitments. The objective now, negotiators say, is to stave off atmospheric temperature increases of 4 to 10 degrees by the end of the century; at that point, they say, the planet could become increasingly uninhabitable. Officials at the National Oceanic and Atmospheric Administration are already reporting that 2014 appears likely to be the warmest year on record. Since 1992, the United Nations has convened an annual climate change summit meeting aimed at forging a deal to curb greenhouse gases, which are produced chiefly by burning coal for electricity and gasoline for transportation. But previous agreements, such as the 1997 Kyoto Protocol, included no requirements that developing nations, such as India and China, cut their emissions. And until now, the United States has never headed into those summit meetings with a domestic climate change policy in place. This spring, a report by 13 federal agencies concluded that climate change would harm the American economy by increasing food prices, insurance rates and financial volatility. In China, the central government has sought to quell citizen protests related to coal pollution. In June, Mr. Obama announced a new Environmental Protection Agency rule forcing major emissions cuts from coal-fired power plants. State Department negotiators took the decision to China, hoping to broker a deal for a similar offer of domestic action. That led to November’s joint announcement in Beijing: The United States will cut its emissions up to 28 percent by 2025, while China will decrease its emissions by or before 2030. Other negotiators agree. 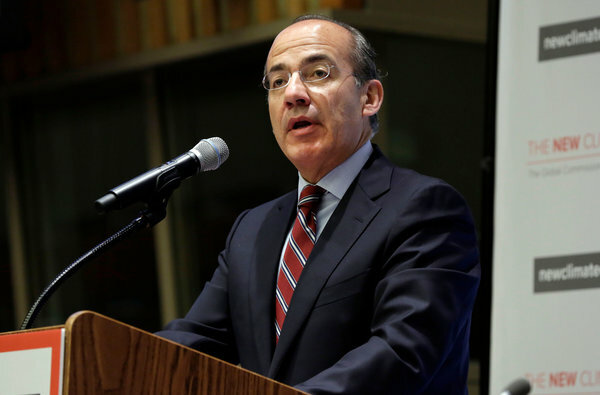 “The prospects are so much better than they’ve ever been,” said Felipe Calderón, the former president of Mexico and chairman of the Global Commission on the Economy and Climate, a research organization. The aim of negotiators in Lima is, for the first time, to produce an agreement in which every nation commits to a domestic plan to reduce greenhouse gas emissions, along the model of the United States-China agreement. Negotiators expect that by next March, governments will make announcements similar to those made by the United States and China. The idea is for each country to cut emissions at a level that it can realistically achieve, but in keeping with domestic political and economic constraints. World leaders would sign a deal in Paris next year committing all those nations to their cuts, including a provision that the nations regularly reconvene to further reduce their emissions. The problem is that climate experts say it almost certainly will not happen fast enough. A November report by the United Nations Environment Program concluded that in order to avoid the 3.6 degree increase, global emissions must peak within the next 10 years, going down to half of current levels by midcentury. But the deal being drafted in Lima will not even be enacted until 2020. And the structure of the emerging deal — allowing each country to commit to what it can realistically achieve, given each nation’s domestic politics — means that the initial cuts by countries will not be as stringent as what scientists say is required. 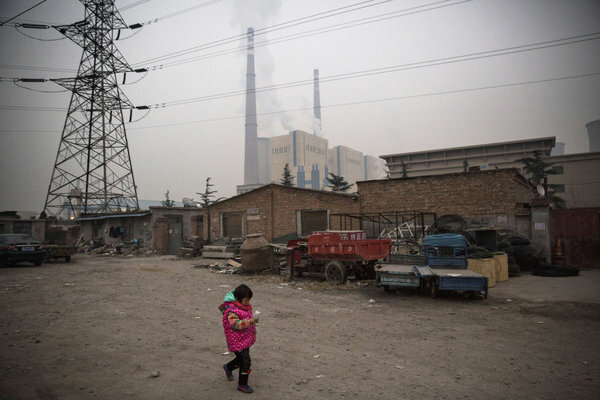 China’s plan calls for its emissions to peak in 2030. Government officials in India, the world’s third-largest carbon polluter, have said they do not expect to see their emissions decline until at least 2040. While Mr. Obama has committed to United Nations emissions cuts through 2025, there is no way to know if his successor will continue on that path. That reality is already setting in among low-lying island nations, like the Marshall Islands, where rising seas are soaking coastal soil, killing crops and contaminating fresh water supplies. Many island nations are looking into buying farmland in other countries to grow food and, eventually, to relocate their populations. In Lima, those countries are expected to demand that a final deal include aid to help them adapt to the climate impacts that have already arrived. A version of this article appears in print on December 1, 2014, on page A1 of the New York edition with the headline: Optimism Faces Grave Realities at Climate Talks.